FILE PHOTO The Department of Environmental Conservation is developing a management plan for the Hemlock-Canadice State Forest. The State Department of Environmental Conservation received more than 400 comments on its draft plan to manage the Hemlock-Canadice State Forest. The next step is for officials to respond to those comments. The part of the response that will undoubtedly get the bulk of the public's attention is what officials say about natural gas and oil drilling on the forest land. The predominant criticism of the draft plan is that it doesn't clearly prohibit gas and oil drilling within the forest; it suggests that it won't. Most of the comments received by the DEC address the plan's language on oil and gas drilling, says Linda Vera, the department's regional spokesperson. "The final [plan] will clarify that the state has no intention of allowing any sort of drilling in the Hemlock-Canadice State Forest," Vera says. DEC representatives made similar statements during the comment period. But skeptical environmentalists, lake users, and water consumers haven't found the remarks reassuring. "I don't think everyone's concerns will be allayed, at least not mine, until we see it in writing," says Nedra Harvey, a co-founder of the anti-fracking group R-CAUSE. 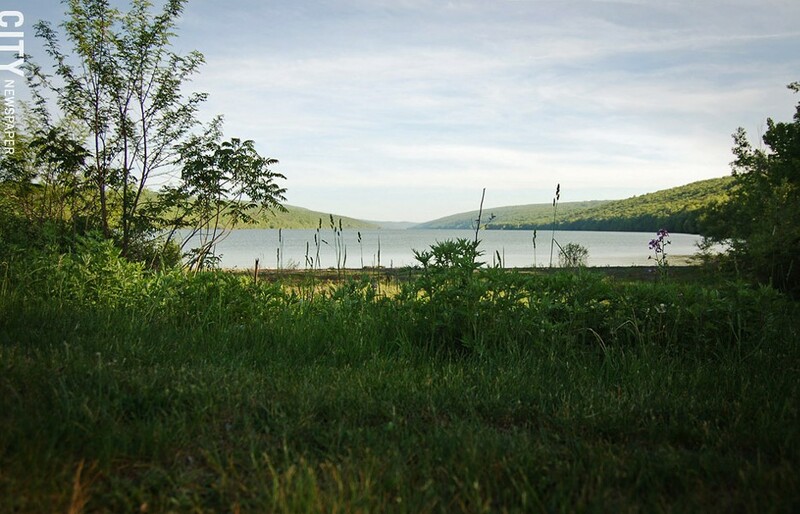 Hemlock and Canadice are the only two Finger Lakes with undeveloped shorelines; the City of Rochester uses them for its drinking water supply. The city bought up land along the shores beginning in 1896, and sold it to the state in 2010 for permanent preservation. Rochester officials have also submitted comments to the DEC. They urge officials to change the management plan so it contains strong, direct language prohibiting drilling on the properties.